AMG offers a range of services through our supply chain to ensure that the customer receives the quality level that every order calls for. 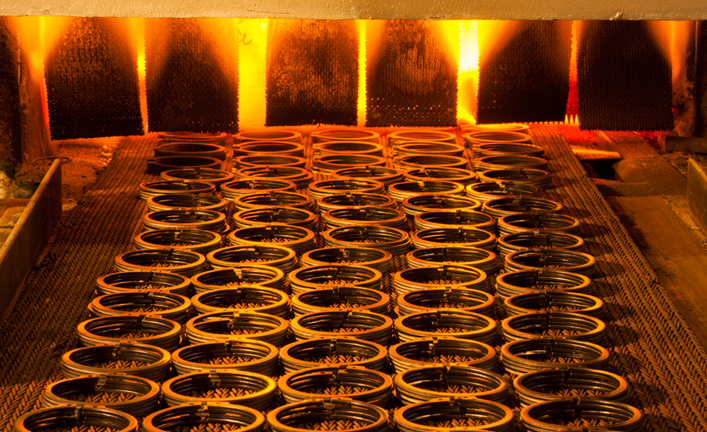 Heat treating is one of the critical processes we offer through our supplier partners. It is the reason we can provide customers with superior components. The process of heat treating leads to different possible outcomes; it may provide stronger resistance to fatigue or corrosion, or it may be utilized to make a component softer or more malleable. Our vendors share our vision and are committed to maintaining the consistent quality demanded in the marketplace, regardless of whether this process is used to enhance characteristics for a metal component or to strengthen a die detail for our tool shop. Whatever your needs may be, AMG enjoys the support of a world-class supply chain and is prepared to get the job done.